The German Silver Gold Plated Three Leaf Serving Plate is the perfect choice for adding to the splendor of the most lavish and sophisticated of Read More..dinning tables. The gold plated body of the serving tray renders it with a regal feel, while the intricate detailing present on its body adds to its charm. 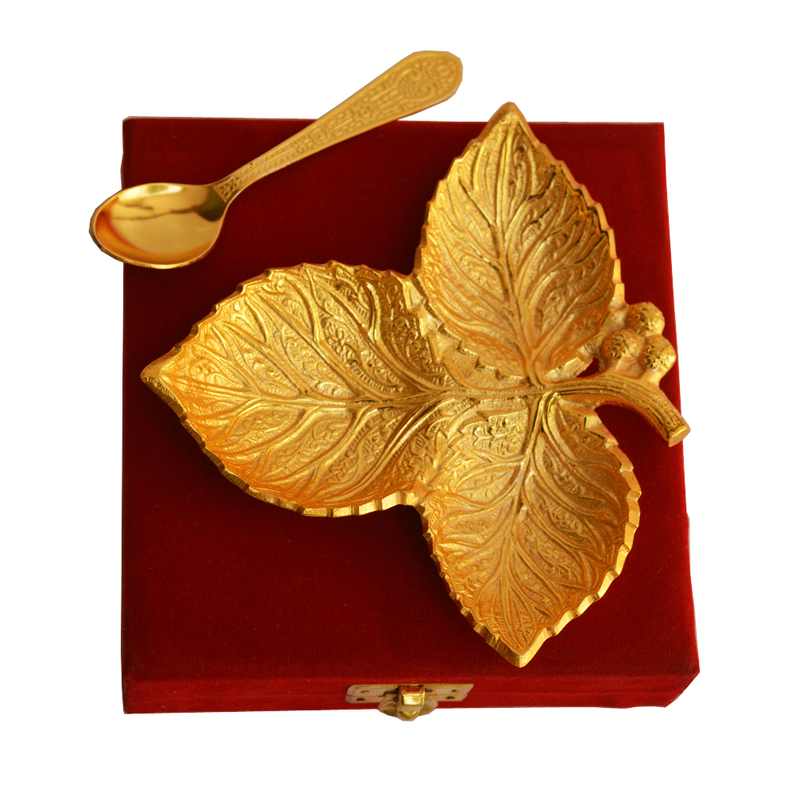 Moreover, the matching gold plated spoon present with the serving tray adds to its utilitarian aspect, while enhancing its aesthetic appeal as well. Show Less..